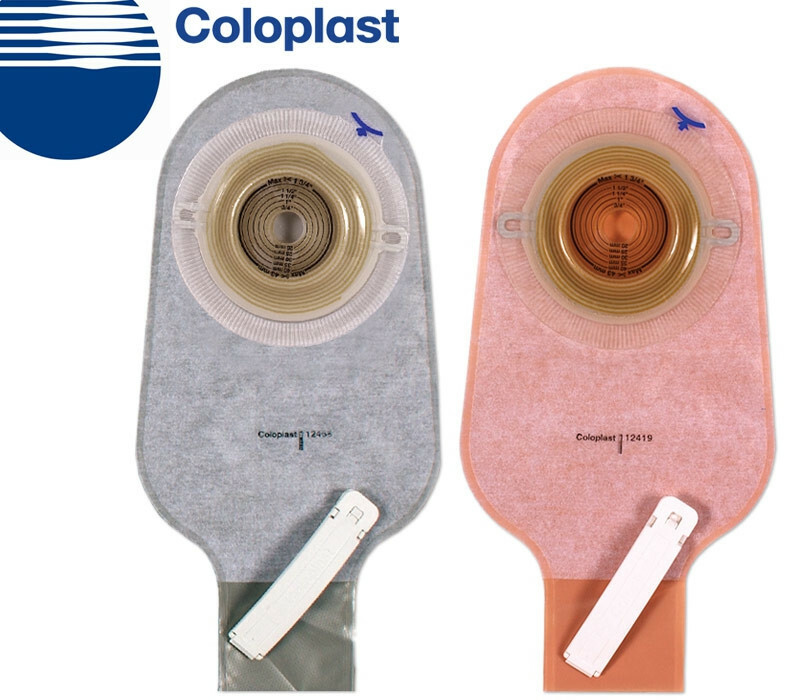 The New Generation Assura 1-Piece Extended Wear Convex Light Drainable MAXI Opaque Pouch offers the features and a discreet, comfortable wear of the pouch. 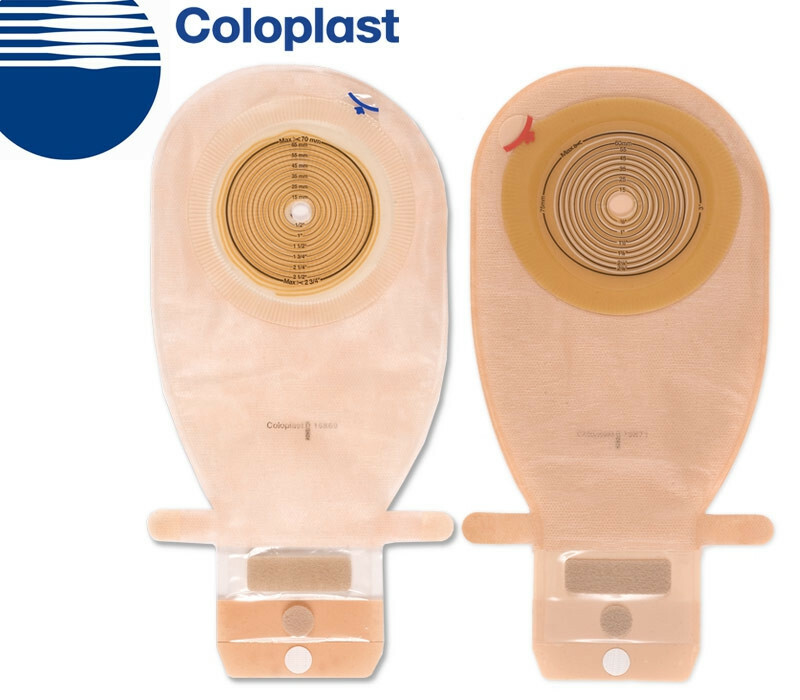 The one-piece design makes it easy to attach directly to your stoma. 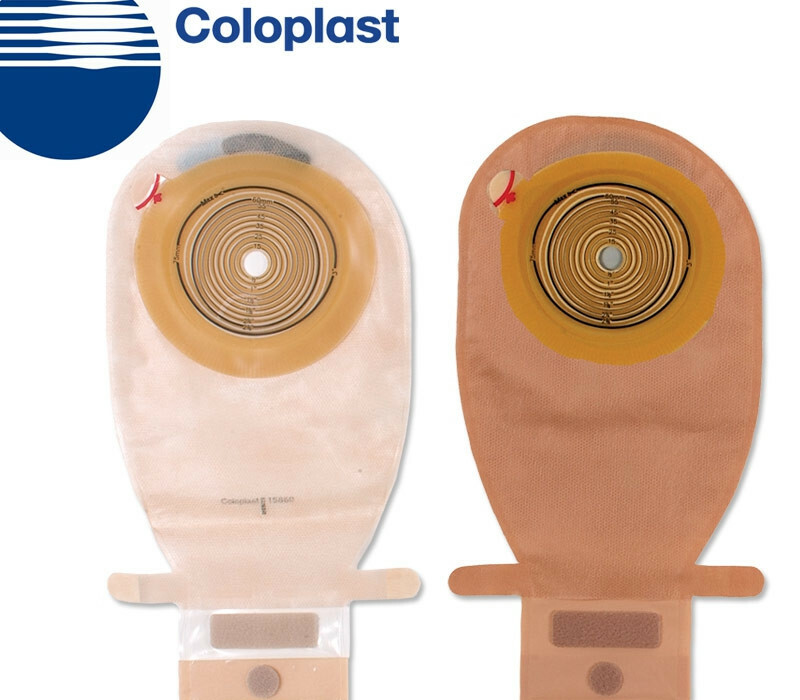 An adhesive is provided from the backside of the bag it helps seal the skin barrier with the bags entry; reducing leaks and potential adapter connection issues. When placing your stoma you have the option of choosing a precut barrier. 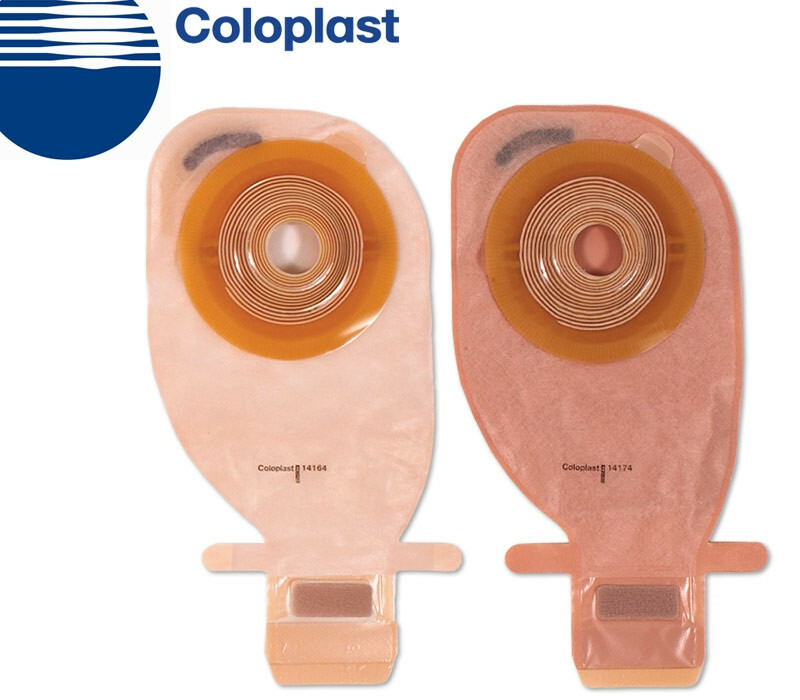 A pre-cut barrier is a prefabricated sized opening for your stoma, simply connect the bag and seal the connection and you are good-to-go. You also have the option of a cut-to-fit barrier. Cut-to-Fit is exactly that. You can cut the bag barrier with a pair of curved scissors to fit the size of your stoma. Review the preparation videos to help determine your correct size and how to properly apply and cut the bag barrier. The Assura 1-Piece bags are made durable and easy to drain. Once it comes time to empty your bag. 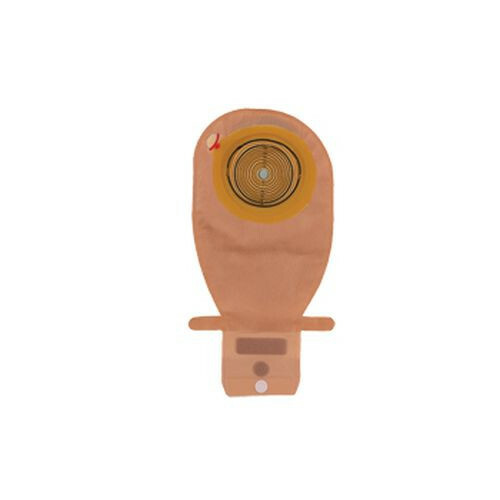 It has a flap that unfolds from the bag. Once you get the flap opened, push the contents from the bag through to the exit, allowing it to fall into the toilet. Once you are finished, clean the opening flap and roll it back up. 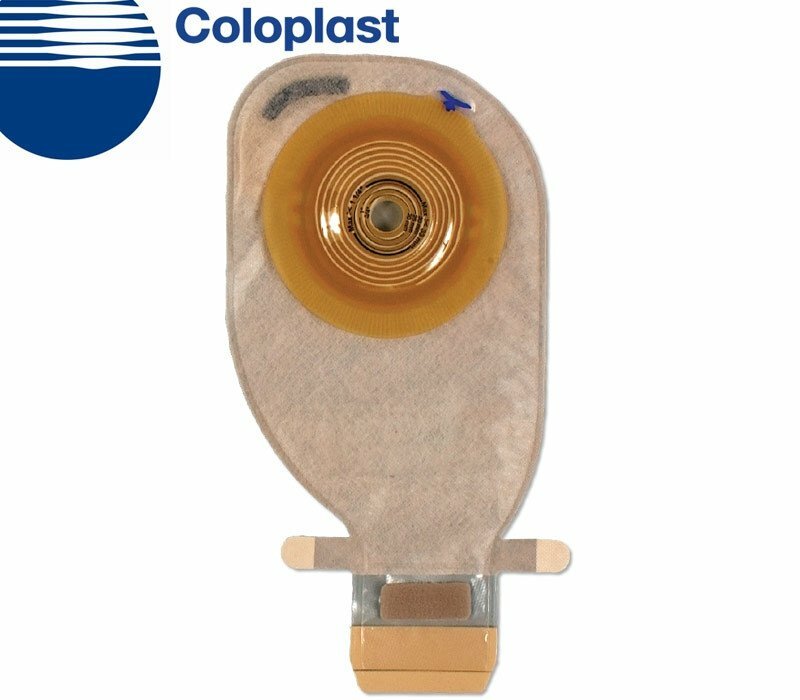 Remember to never flush your stoma bag. Discard properly when replacing. Selecting a Flat, Convex or Convex Light depends on your body. 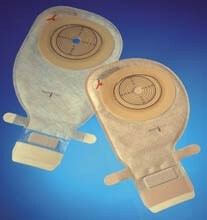 The best fit would come from your own comfort and the connectivity of the barrier with your stoma. Flat stomas are easier to connect to. They are surrounded by flat skin with usually no telescoping stoma. 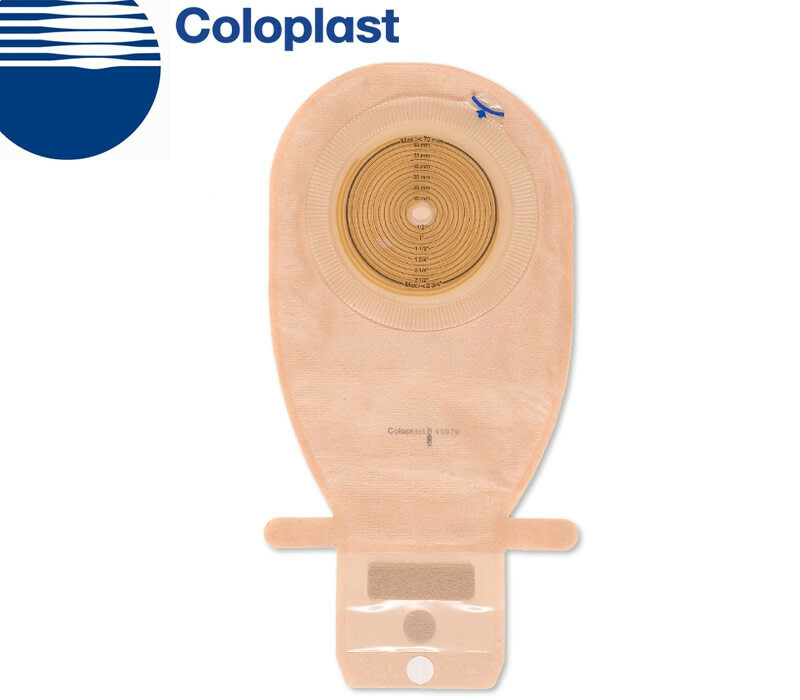 A convex stoma needs to be set more carefully to assure the best performance. This could be skin scars, folds or poorly located ostomy. A light convex is a minimal adjustment for convexity. Getting a proper seal with little to no gaps is crucial - unseen waste can cause skin irritations if not cleaned properly. Some bags include belt tabs. If you find it difficult to keep your bag in place. You may benefit from these options. 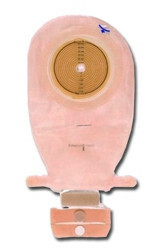 They attach to belts such as the Brava Ostomy Belt. Are the 14421's pre-cut 7/8?? The item number states it is pre-cut in the description section.